-07h30am: pick up at hotel in Saigon then route for Can Tho. -12h00pm boarding Mien tay Sampan at Ninh Kieu tourist pier, welcome drink and check in cabin, up for cruise to Cai Be via Tra On. 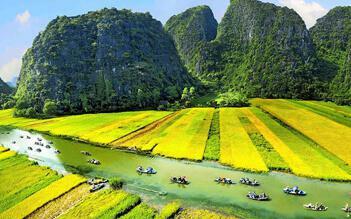 -Leisurely cruise down the Mekong while enyoying the beautiful scenery. Lunch on board. 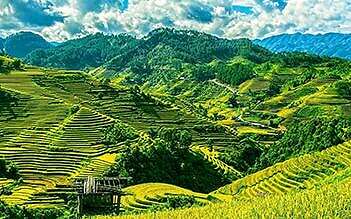 -After lunch disembark then a pleasant walk or cycling tour on the footpaths of the countryside to discover tropical fruit orchards and the local people's activities, especially somes orchards with its famer and sample various tropical fruits in Xuan Hiep – Vinh Long. -Then return the boat to cruise to Cai Be. Enjoy the magnificent sunset on the Co Chien river. -Dinner and overnight on board in Co Chien or Cai Be, up to river tide. -After breakfast, check out luggages to small motor boat to explore the lively Cai Be floating market in the morning. 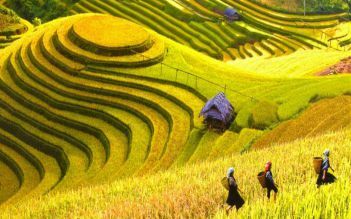 -Visit Mekong Lodge and walking around this area to see local people who are doing daily activities. -Embark Mien Tay Sampan, welcome drink and check in cabin. -After lunch, cruise depart from Cai Be to My Tho via Ngu Hiep island. -02h30pm: arrive Ngu Hiep island. Disembark and leisure biking or walking tour on this island seeing daily life and local people’s activities. Leisurely cruise down the Mekong River while enyoying the beautiful scenery and enjoy the magnificent sunset on the Tien river. -Dinner and overnight on board between Ngu Hiep island and My Tho. -In the morning, the noise of the boats wake you up, watch the daily life of the local people who live on both sides of the Mekong river, breakfast on board. -Continue cruising to My Tho. -After breakfast, check out luggages to small motor boat to explore one of the islands in My Tho. -The guests can walk throught the island, trying native fruits viewing local handicraft production and meeting the local people. Then take a brief sampan ride through palm-shaded creeks. -Lunch on board or at restaurant (up to the schedule of Mien Tay Sampan). -Disembark in My Tho and return to the vehicle. 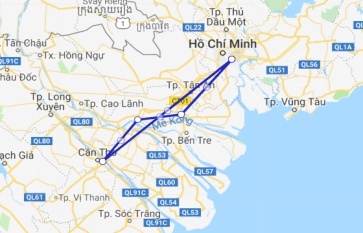 -Leave My Tho and route for Saigon. End tour. I went with my too kids to the Mekong Delta tour and all of us enjoyed. The tour guide was friendly helpful and very informative and we learnt a lot about the places we went to and also about Vietnam in general. It’s a nice small tour and the kids had fun with the bicycle ride, boat ride, snake handling, bee farm and coconut farm. The candy was sugar free and my kids loved it. Very good value for money and I would heavily recommend it. excellent service the comoany is very reliable and everything is planned well and on time. the tour guide we had was top notch smart funny and well spoken in English.